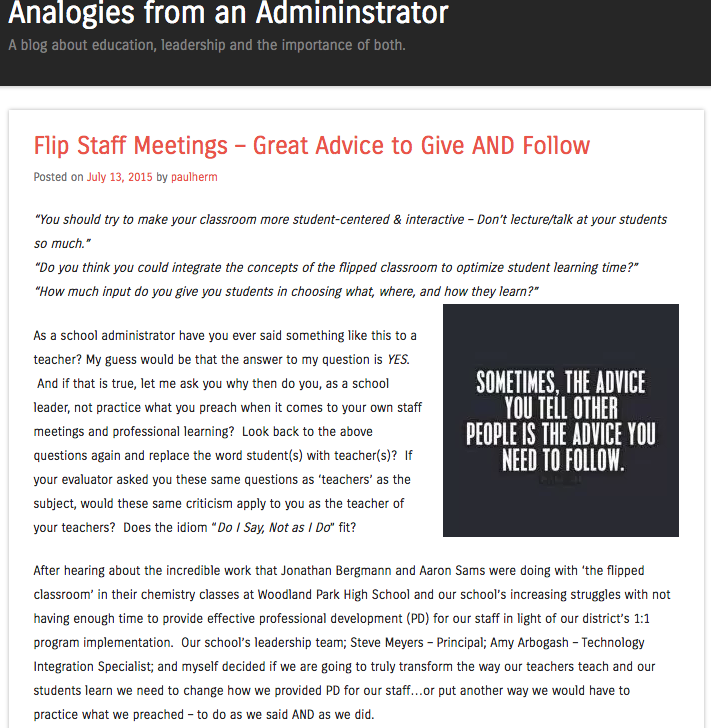 Paul Hermes, AP, Appleton North High School, Appleton, WI writes in his blog about the conscious decision his administrative team made to "practice what they preach". In other words they would lead by example in promulgating a flipped classroom for their teachers. 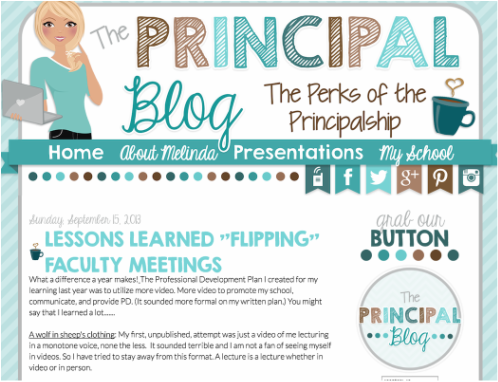 Melinda Miller, Principal, Willard Elementary, Willard, MO writes of "Lessons Learned Flipping Faculty Meetings": It's just another balancing act in the unpredictable world we work in. Like our work with students, we need to keep it mixed up with adults too. One thing or the same thing all the time will get old."